I thought I'd start off by documenting the meal. We had wine and bread first, but I neglected to take pictures of that. 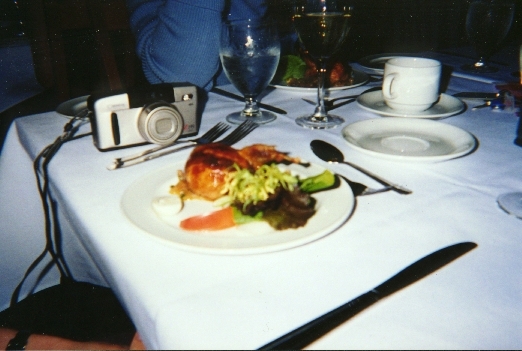 The appetizer was roasted quail or squab I believe. Whatever bird it was, it was absolutely delicious!